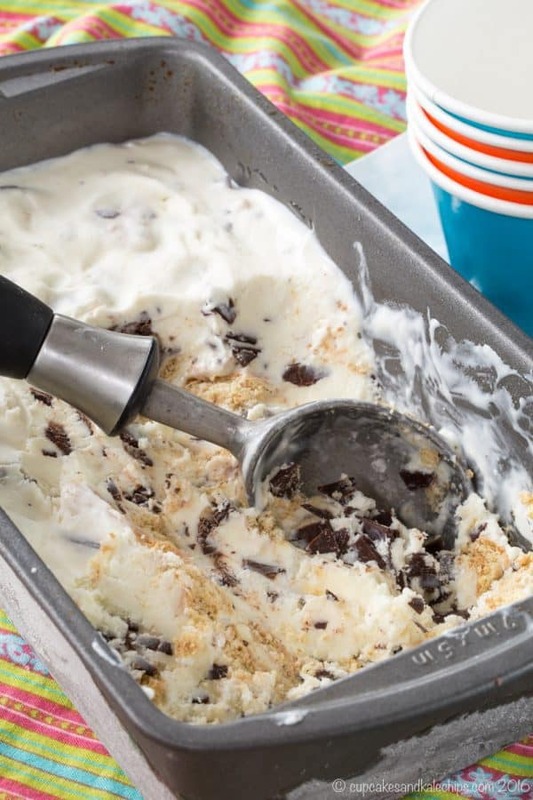 If you love Bruster's Graham Central Station Ice Cream, you'll love this easy copycat recipe for a sweet dessert treat. Graham cracker chocolate chunk no-churn ice cream is a quick, easy, and delicious no-churn ice cream recipe. 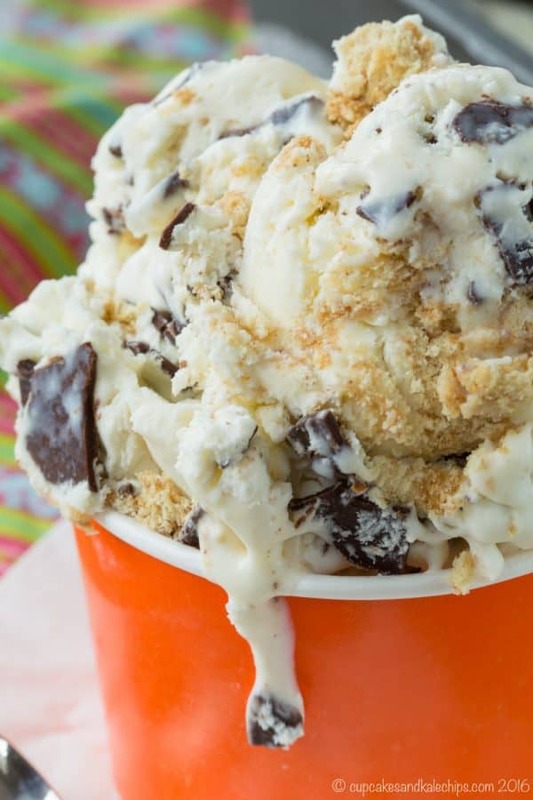 No ice cream machine is needed to make this easy frozen dessert! 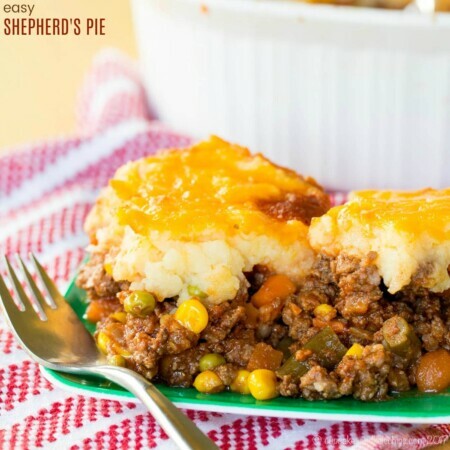 Father’s Day is right around the corner, so #SundaySupper is celebrating all of the dads in our lives with this week’s collection of recipes. If you have a special dad with a sweet tooth, he will love this creamy and fully loaded four ingredient dessert recipe! There’s no question my hubby loves his boys. He knows just when Little Dude needs a little extra Daddy-time in the morning, and will offer to drive him to school on those days. He sees The Bug’s scientific curiosity and has a great way of teaching him things and explaining things to him. As their birthdays approach, while I am thinking about cakes and meals and parties, he is loading up his cart on Amazon with ideas for gifts he knows they will love. And every night he lays down in their bunk bed to sing songs with them. What I also appreciate is all that he does for me and for us as a family to keep us moving through this crazy busy thing we call life. And I must say, our life has been especially crazy busy lately, but he has always jumped in to do an extra pickup or drop-off or baseball game or load of laundry or whatever else is needed. So when I went on a work trip for three days last week, while I actually wasn’t feeling a whole lot of mom-guilt, I was feeling a ton of wife-guilt. I know he is fine on his own with the boys, but he has had a lot going on at work, on top of all of the craziness at home. And this was the first time he has had them on his own during the week versus a weekend, which meant breakfasts and lunches and schedules, and not a lot of flexibility to drop things off the to-do list or for things to take longer than expected. So before I left I laid out all of their outfits for the week. I prepared the boys’ breakfasts for Monday and Tuesday, and left him a note to just get them cereal on Wednesday. I packed their lunches and labeled them for all three days. He had planned to take them out to dinner on Monday, but I left some simple things to make for dinner on Tuesday before The Bug’s baseball practice and Wednesday before Little Dude’s teeball game. And I set up a babysitter to get The Bug from the bus stop on Tuesday and Wednesday, and stay with the kiddo who did not have a game or practice that night. As I said, I know he is totally capable of doing all of these things, but I really wanted this to be as easy as possible on him. My flight got in late Wednesday evening, and even though I was tired, I knew that I’d have to go home and make the boys’ breakfast and lunches for the next day because I was sure I’d be tired and moving slowly on Thursday morning. However, much to my surprise, as I texted him when my flight landed, he told me he had their breakfasts ready and was just finishing up their lunches. And he packed probably what I would have packed if I has done it myself. So if you saw #BugsLunchbox last Thursday, that was all him! What a special hubby and daddy! 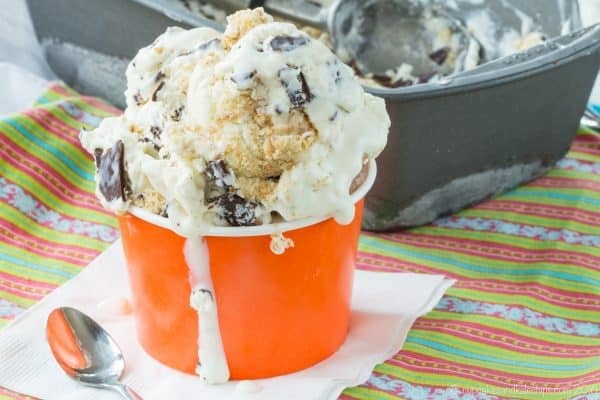 This Graham Cracker Chocolate Chunk No-Churn Ice Cream is loaded with goodness. Based on his favorite Graham Central Station ice cream flavor from Bruster’s, I started with the basic no-churn ice cream, which is simply whipped heavy cream and sweetened condensed milk folded together and frozen, and then took inspiration from Christina of Dessert for Two for infusing the cream with the flavor of the graham crackers by soaking them, a la “cereal milk”. After straining out the graham crackers, I folded in more chopped up graham crackers and chocolate chunks and chips and flakes made by melting chocolate, spreading it thin, and breaking it up into bits and pieces after it is solid. 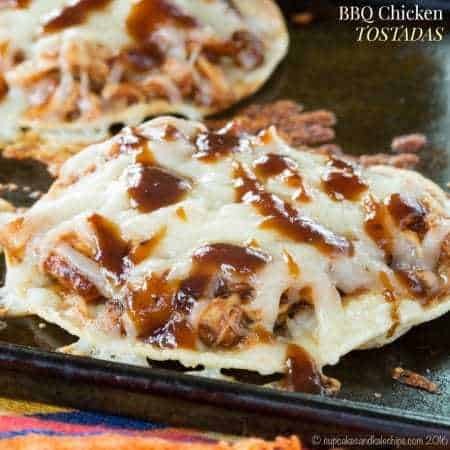 Pop it into the freezer, and a few hours later you have magical goodness. I think it’s safe to say The Hubby loved his special treat. By the time I got back from my trip, he had eaten half of it, and he hadn’t shared a bit with the boys. I actually let them try some the other night, and, not surprisingly, they were huge fans. I mean, with a creamy base, the softened gobs of graham crackers, and plenty of chocolate for tons of texture and chocolaty goodness – who wouldn’t love this? Well, unless you are me and have a gluten allergy, but still make your hubby his favorite even though you are the ice cream-obsessed one and can’t even sample this particular variety. So I hope you’ll trust his feedback and give it a try even though I can’t give you my personal review. 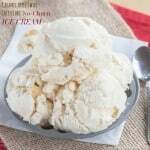 Check out the graham cracker chocolate chunk no-churn ice cream recipe, below. 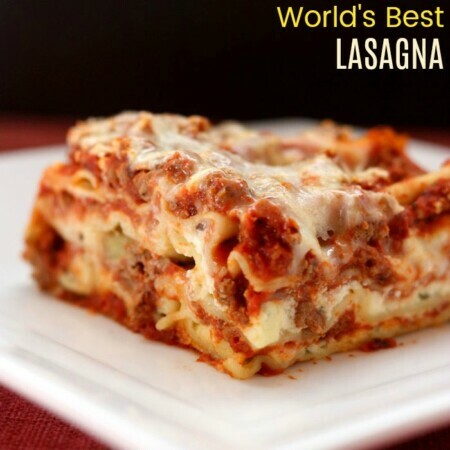 Then, check out all of #SundaySupper’s dads’ favorite recipes at the bottom of this post. 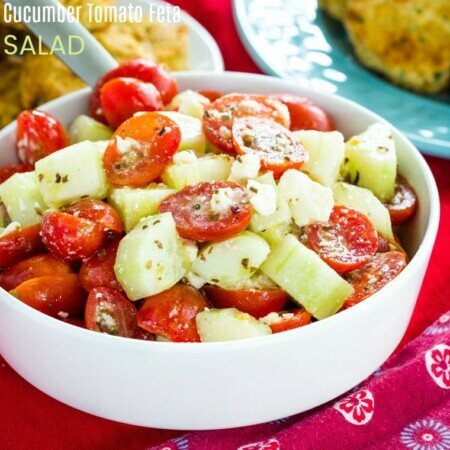 Place a large metal or glass bowl in the refrigerator or freezer. Take three of the graham crackers, crush slightly into large pieces, and set aside. Place the remaining graham crackers in a large glass or metal bowl, pour the heavy cream over the crackers, and place in the refrigerator for at least 20-30 minutes. While the graham crackers are soaking in the cream, line a cookie sheet with a silicone baking sheet or wax paper. Melt the chocolate chips in the microwave or over a double boiler, then pour onto the prepared sheet and spread into a thin layer. 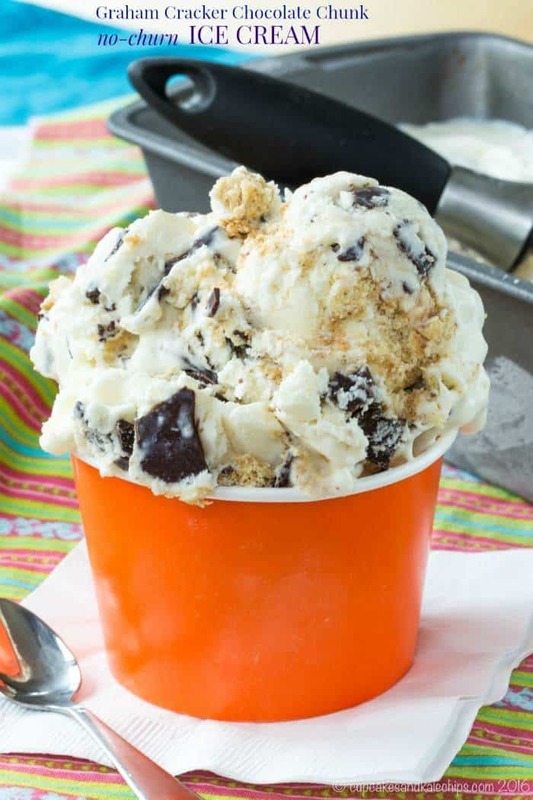 Chill in the refrigerator, then break apart into a mixture of chunks and flakes. Strain the crackers out of the heavy cream mixture using a fine mesh sieve, collecting the cream in the chilled bowl. Discard soaked graham crackers. Using an electric mixer or whisk, beat the heavy cream to soft peaks. Gently fold the sweetened condensed milk into the whipped cream, then gently fold in the reserved crushed graham crackers and chocolate pieces. Pour the mixture into a container that you can freeze, cover tightly with a lid or plastic wrap, and place in the freezer for at least several hours until frozen. 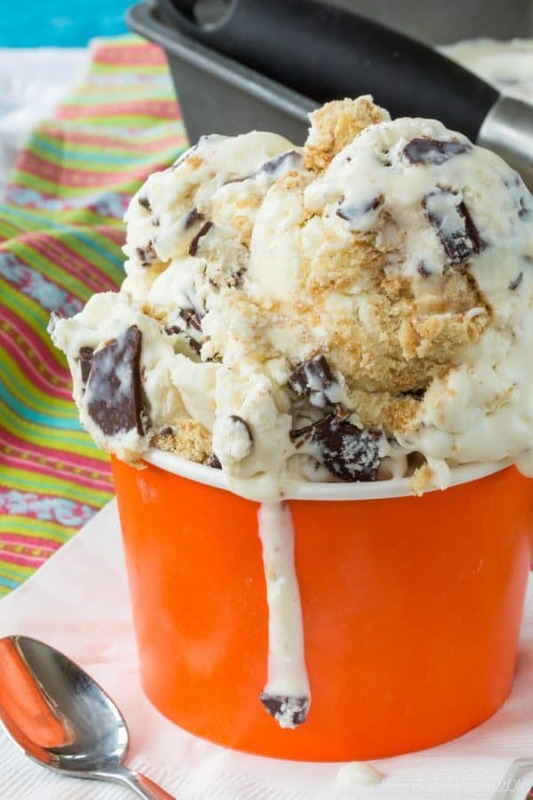 Enjoy this Graham Cracker Chocolate Chunk No-Churn Ice Cream recipe! Use the Pamela’s gluten free graham crackers so you can enjoy too! They are delicious! I like them better than the regular ones. awww your hubby sounds like the best dad!!! and this ice cream? ALSO the best! I love it!! This ice cream is insane! 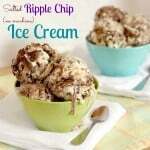 My hubby is not a huge homemade ice cream fan, but he told me this was the best ice cream he’s ever had! Soaking the crackers in the milk is pure genius! Thank you for the incredible recipe. It’s going in my forever recipes for sure!! Oh my word! This looks amazing! Thanks for sharing at Welcome Home Wednesdays! This looks so delicious. We are HUGE ice cream lovers at our house. This is definitely going on my list of things to make. Thanks! 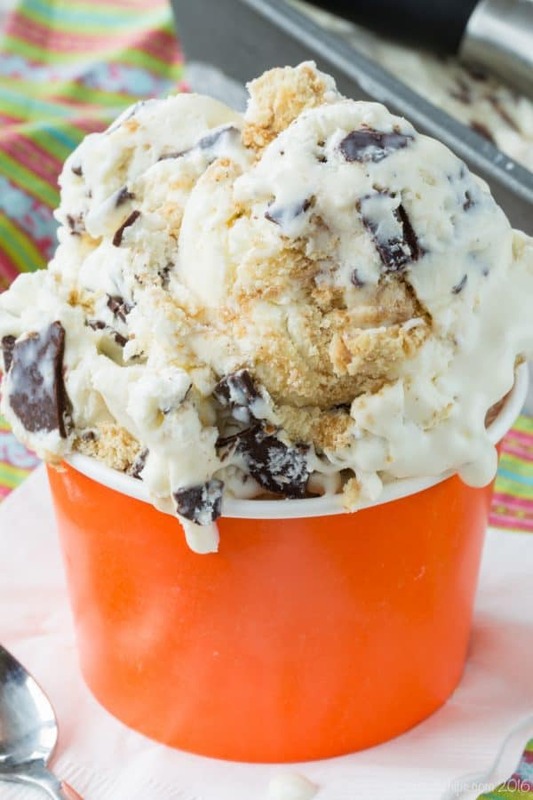 Wow – this ice cream looks mouth-wateringly delicious! Thanks so much for sharing your yummy recipe on the Monday Funday Party! It’s so nice when a Dad does what a Dad should do and coparents his children. He sounds like a definite keeper. Do you really chill the chocolate in the microwave? Did I read that right? I plan on making this today and I need to clarify. Oh my gosh, typo! I meant fridge! 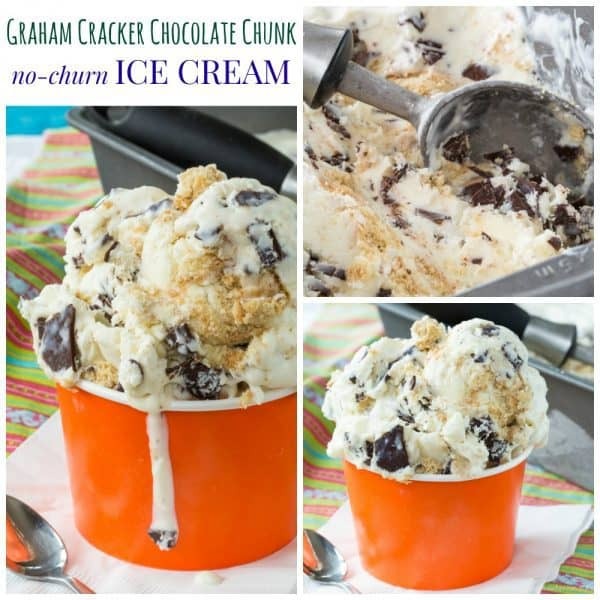 LOVE the addition of graham crackers – they’re one of my favorite ice cream mix-ins. Whoa, amazing ice cream – lucky dad! What a way to honor your husband! 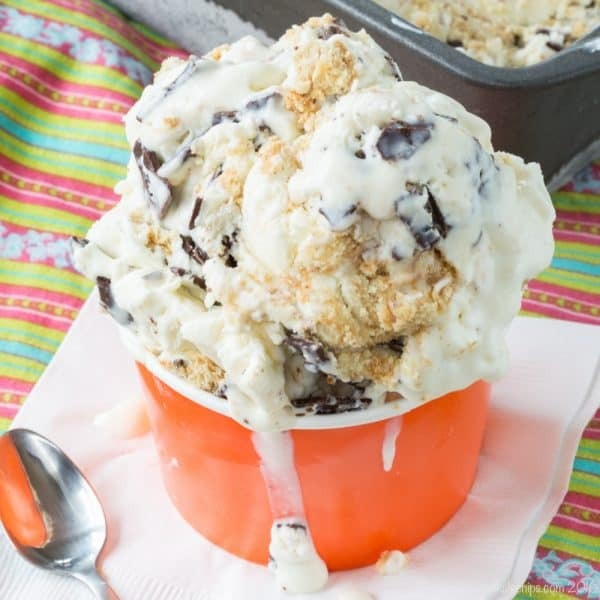 This ice cream looks fantastic! This sounds amazing – omg! I love this for summer! What a beautiful Dad story. He sounds like a prince. You spoil him well with this beautiful ice cream. The pics are great. Super nice post. What a nice tribute to your hubby along with a VERY nice ice cream. With the weather heating up again today, I wish I had a stash of this in my freezer!